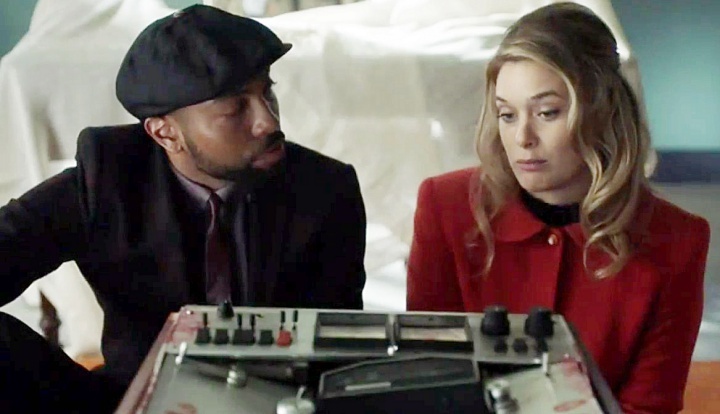 With each Legion chapter digging further into David Haller’s complicated mindmemory palace, showrunner Noah Hawley has expanded our shared experience, not just delving into a single character’s brain but also plunging us into multiple viewpoints. In a way, it’s as if we’ve become as split-personalitied as David, himself, and frankly, it’s thrilling. 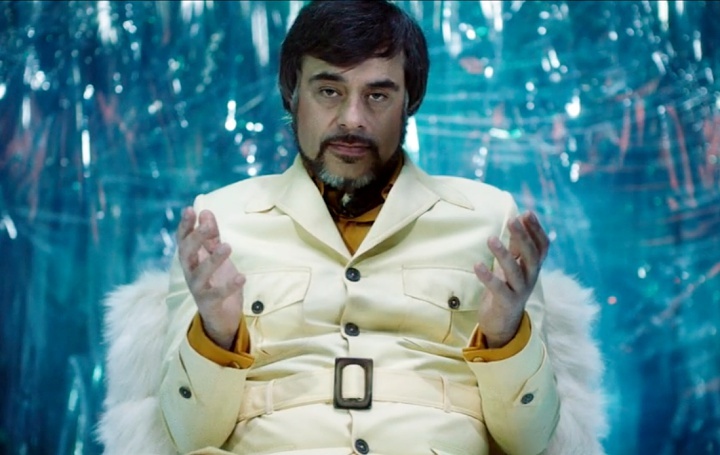 The combined skill of writer, Nathaniel Halpern (Outcast, The Killing) and director Larysa Kondracki (The Walking Dead, Better Call Saul, Power), as well as Jemaine Clement’s first full appearance as Melanie’s lost to the astral plane husband, Oliver, blasted “Chapter 4” to unimaginable heights. 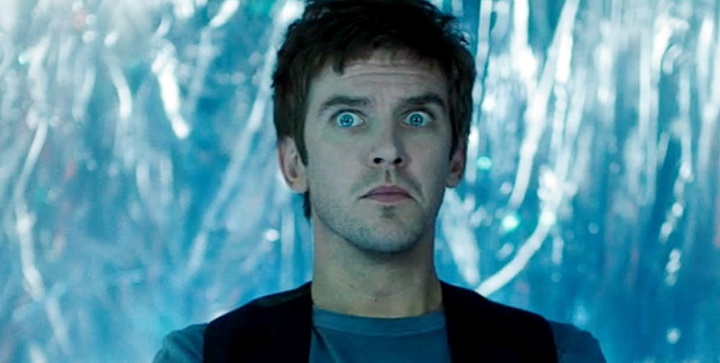 Only a few episodes in, I can imagine Marvel just handing over Noah Hawley the keys to their next big movie, because if ever an impromptu directorial audition was laid out, Legion is it. Following the “Chapter 3” dive into David’s questionable and often (involuntarily?) locked down past, Melanie, Ptonomy and Syd realize they have to go deeper, must break down Haller’s defensive walls by rendering him unconscious. After agreeing to a controlled sedation, David is off to dreamland, with Melanie nearby for safety. And what better way for us all to relax and settle in for a long winter’s napdream than the lullaby of a softly told bedtime tale about a fuzzy little bunny who got too close to the ocean; a work in five acts, with what happens next. With Syd, Kerry and Ptonomy on the Is-It-Live-or-Is-It-DavidMemorex case, each espousing and theorizing over whether what they’re seeing is truth, or after Syd notices differences (“Most people’s memories are unreliable … the past is an illusion”) in the memories she’s already visited, whether David’s defense mechanisms have kicked in (“Psychic projection to create a simulated reality”) or he’s purposely hiding remains to be seen. They race back through, discovering the inconsistencies until Ptonomy suggests they find the truth in Dr. Poole’s recorder — “Objects have memory, too” — but again, Syd is convinced what they’re seeing isn’t the truth (“How do you find the facts when memory becomes a dream?”). “Who are we if not the stories we tell ourselves?” Deciding to hunt for David’s old girlfriend to see what light she might shed, Syd breaks protocol and asks Philly (Ellie Araiza) personal questions about her relationship with David, and receives two very curious pieces of information: Lenny was Benny — a dude — and Philly has a message: “Tell him they’re watching”. As a last resort, Ptonomy, Syd and Kerry track down Dr. Poole, only that turns out a trap; having gotten what information was needed from David’s sister, Amy (now jailed by Division, along with the very real Dr. Kissinger), The Eye has successfully gained access to Syd, who allows him a body switch, which only serves to confuse her boyfriend when he comes to her rescue. In the unexpectedly emotional final act, Kerry — who we’ve discovered is actually a part of Carey and mostly lives within his body — fights Division, and throws herself in front of a bullet to save David. Through Kondracki’s phenomenal direction, and gorgeous camerawork by Craig Wrobleski (Fargo), we’re privy to flashes between Oliver’s dancing, and Kerry and Carey, Bill Irwin’s fantastic, simultaneous tour de force to Kerry’s heart-wrenching beating and ultimate death, which leaves us as crushed and broken as their two lifeless bodies, snuffed out as one. “Could we believe our eyes?” Syd’s running commentary mirrors the audience experience. At this point, we’re left more unsure than ever what’s real; the more things unwind — which would usually be clarifying — the more confusing things become. I maintain that Syd is real, but as suspected, Lenny and the Yellow Eyed Monster are in David’s mind. In fact, at the end of the hour, they merged into one being. 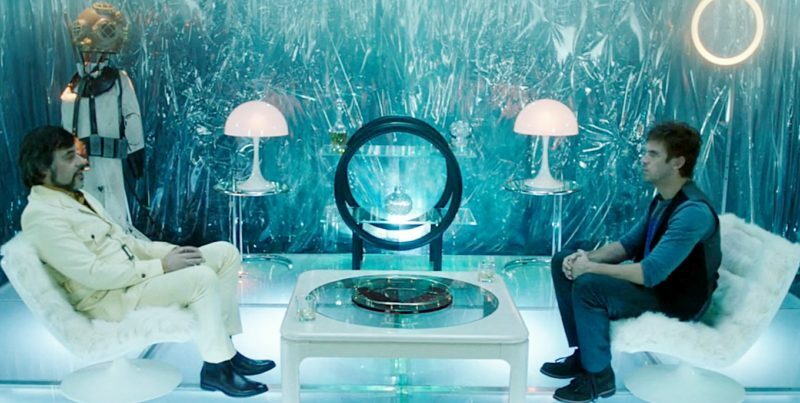 If the astral plane is “Something between reality and dream … as if we activated some kind of guardian, is it possible Oliver can someday be rescued or helped back to the “real world”? Melanie seems to think so. “What did the stars say?” This is key, having come up several times with different characters. When David remembered himself as a child in previous episodes, and spoke of hearing the stars, was it possible he was referring to Oliver? Have he and Oliver met before? Where are Amy and Dr. Kissinger? Why is there a cement hill in their connected by a wall cell? Amy revealed she at least had some kind of internal knowledge that David wasn’t really sick. I don’t see her as bad or wrong for committing David, though; she probably just didn’t know how to handle him. Or, maybe that was her way of protecting him. Either way, there’s no dog. I’ll be terribly sad if they’re both irrevocably dead (how amusing is it that I believe they might not be?). In his short time on the series, Bill Irwin has been riveting every time he’s onscreen. Interestingly, David heard their voices during that segment, heard the alarm. Was that visit what triggered David to find Oliver? The wave was hilarious. When Oliver put on the first bit of music — Sonny Simmons: Staying on the Watch — my first thought and what I said out loud was, “This reminds me of (a favorite) Mike Myers in So I Married an Axe Murderer, when he does the beat poetry” … and right then, I’ll be damned — Jemaine Clement started doing beat poetry (Allen Ginsberg, A Supermarket in California).